Golden glowing cocktail rings pair nicely with a long bourbon/whiskey/rye by the fire. This big, sparkling modern cocktail ring is handcrafted luxury designed by my gorgeous friend, Jules Cechony! 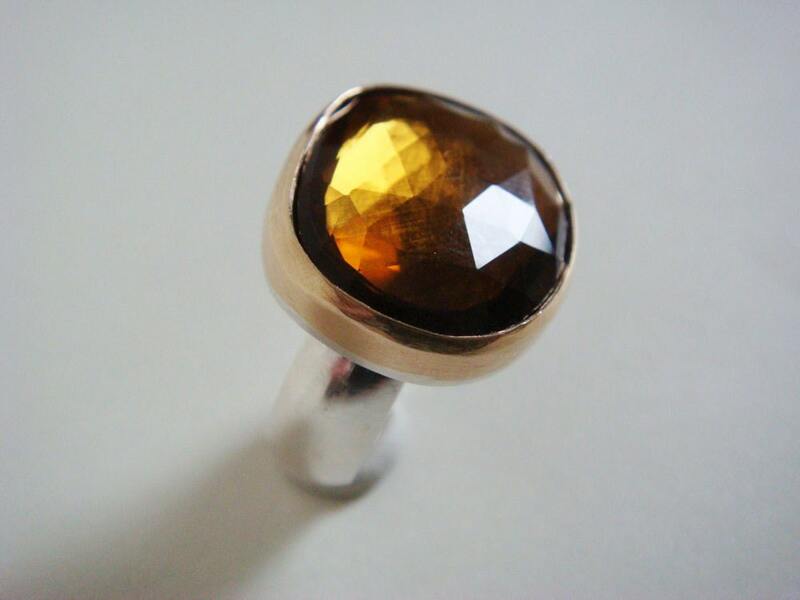 November's gem is this splendid faceted golden topaz, wrapped in 14K gold, set upon sterling silver! Jules is celebrating her 10th Anniversary and is offering special prices on her exquisite designs - visit Jules' shop here. Congrats on 10 years, Jules! You are an inspiration and your jewelry elegant as ever!